AA Insurance was founded in 1994 as a joint venture between GIO Australia and the New Zealand Automobile Association (NZAA). A new joint venture partner, Royal & Sun Alliance Insurance (New Zealand), joined in 2002, acquiring a 68% shareholding in the company. Royal & Sun Alliance changed its organisational structure in 2003 when it listed on the New Zealand Stock Exchange as Promina, and later changed its name to Vero Insurance New Zealand. Promina was bought by Suncorp Group in 2007, and AA insurance is currently an independently operated, New Zealand-based joint venture between NZAA and insurance giant Vero. It was named New Zealand’s Best Large Workplace in the IBM Kenexa Best Workplaces Survey in 2011 and 2016. As of 2019, AA Insurance employed over 700 staff across the country. It offers personal and business insurance to New Zealand customers, and has over 385,000 customers across 745,000 home and contents, vehicle and small business insurance policies. It currently holds an A+ (strong) financial strength rating given by Standard and Poor’s. AA Insurance primarily deals with personal insurance lines, covering home and contents and vehicle insurance. Its vehicle products include options for classic car, caravan, motorcycle and motor home insurance, and its home and contents policies encompass landlord and renter-specific options. The company experienced ‘considerable motor insurance-related issues’ in 2017 which led to a spike in claim numbers and increased costs, thus also putting pressure on premiums. The auto refinishing and panel repair sector also faced challenges in attracting and retaining skilled technicians. 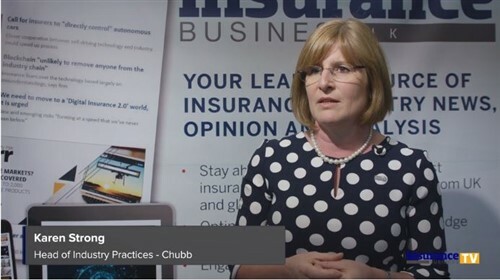 AA went on to introduce its first small business insurance product in 2018 which currently includes cover for statutory liability, commercial vehicles and public and product liability, among other risks. The model is designed for businesses to pick the cover options most necessary for their business, without needing to pay for the full package. · AA Life specialises in life insurance, accident recovery and funeral plan policies, and, as of 2017, had a policy base that exceeded 85,000. It was also then named New Zealand’s Most Trusted Life Insurance Brand by the Reader’s Digest Most Trusted Brands Awards for the fifth successive year. · AA Health offers health insurance to New Zealand residents with options for everyday, private hospital and specialist plans. · AA Travel offers three travel insurance policies – essential, comprehensive and frequent traveller, which covers all trips taken within a 12-month period and is available to travellers of up to 70 years old. · AA Pet Insurance provides plans covering cats and dogs, with starter cover for puppies and kittens. AA Insurance, as of 2019, sponsors Blue Light, a nationwide youth charity, and also partners with Eden Park Trust. Blue Light is a community policing initiative that is aiming to reduce youth offending and facilitate good relationships between young people, their parents, the police and the community. It currently works with over 200,000 young people across the country. Eden Park Trust supports sporting pastimes and welcomes over half a million sports and entertainment fans from across the globe each year, with crowds of around 50,000 flocking to the park on match days. Is this the poster-child for ill-timed bets on the firm?